Oh! 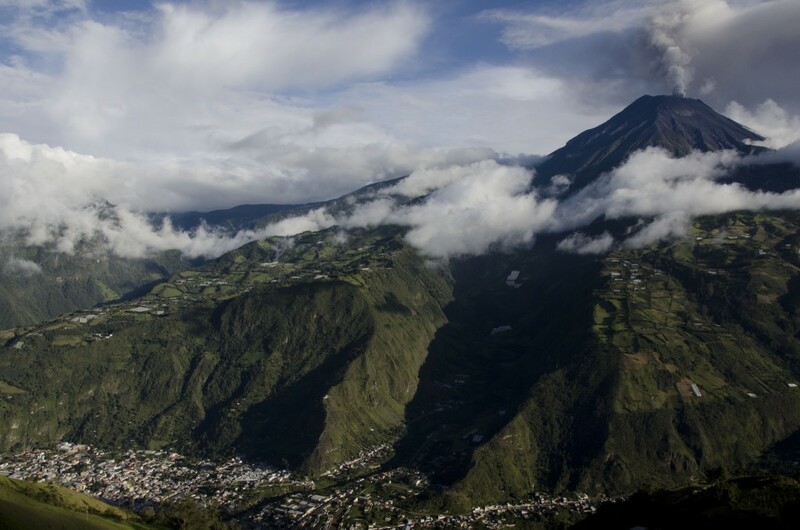 Baños, Baños, Baños… so far, the place I find the most breathtaking of Ecuador. 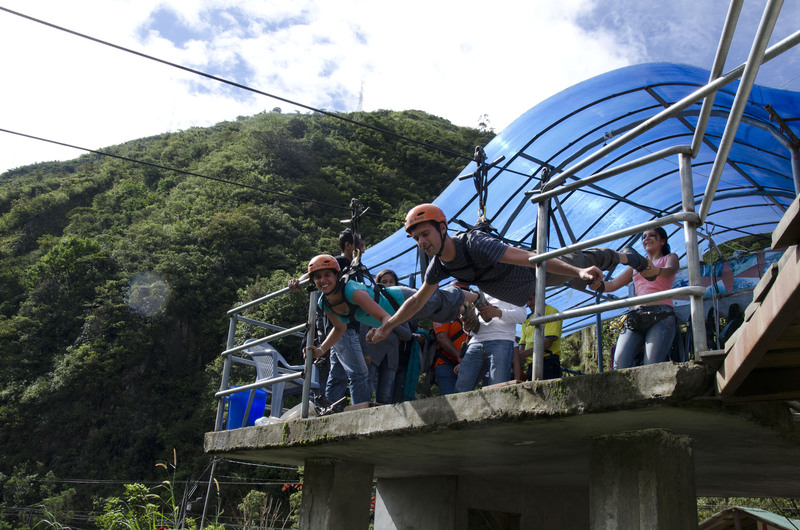 It’s a city nested within the ecuadorian Andes that amazes. There are a lot of different kinds of landscapes in Ecuador: from the endlessness beaches, to the legendary jungle, including villages built of wood and bamboos, to megalopolis with more than 3 million habitants; but the Ecuadorian Andes… Wow! It is something special. The bus journeys, that will take you from the Coast to 4.000 masl, seems like a ride in the landscapes of a sci-fi movie. Pieces of green hills and mountains that emerge through the clouds appear everywhere. Rivers far down of the valleys and cliffs once in a while… Every curve of the road opens to new sceneries. You cannot get tired of these landscapes because they will slap you with their magnificence and make you feel so small. 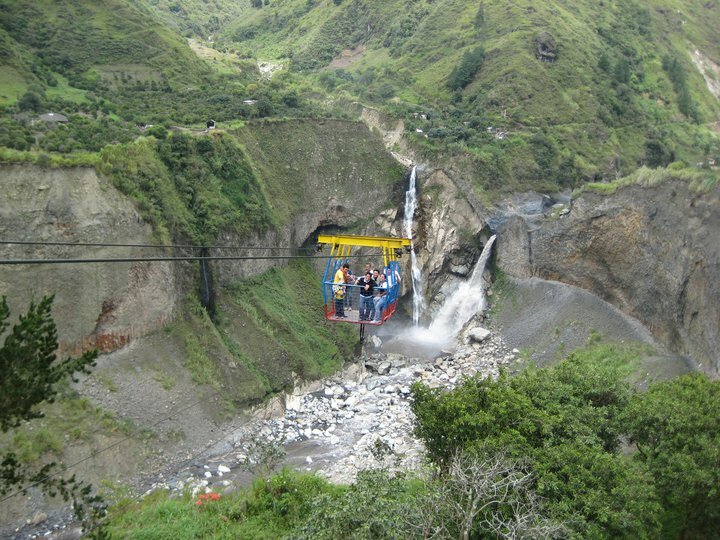 This is the scenery of Baños, in Tungurahua province. Add to all this that the town rests –literally- at the foothills of one of the biggest volcanoes still active in Ecuador: The Tungurahua. The city is pretty unostentatious, without artifice, with low sized buildings and good public spaces. 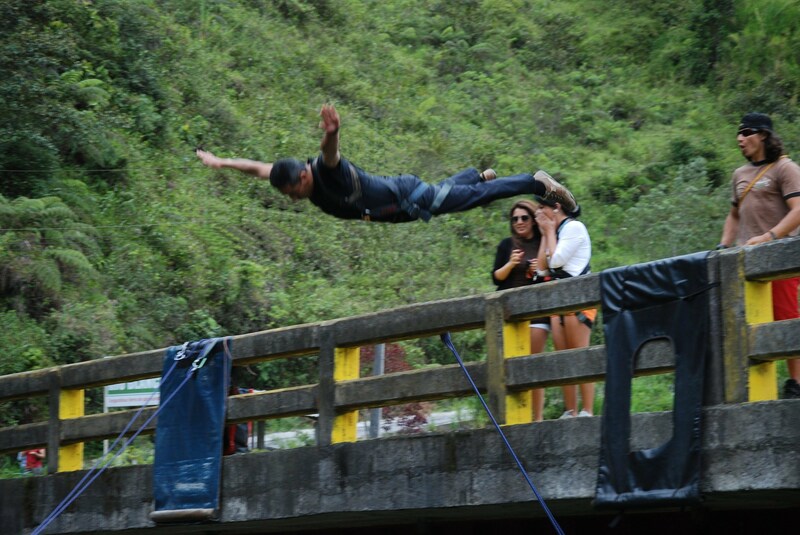 One incredible thing though: the urbanization of Baños stops suddenly, as a cliff cuts it, to let a river pass through. The viewpoint here is amazing. It’s hard to find in this touristic city a less than USD $15$ a night accommodation. Beware to check that the shower offers hot water because, unlike the coast, temperature in the Sierra doesn’t allow you to stand cold water! Two streets wake up at night, where everyone party until the bars close. Then, you have to let yourself go and enjoy the ‘after parties’ inside the city… Everyone gets together to party, including the guides of the activities you do during the day. Indeed, during daytime the thing is not to walk around the city but rather go out, and enjoy all the activities and landscape that the city offers. 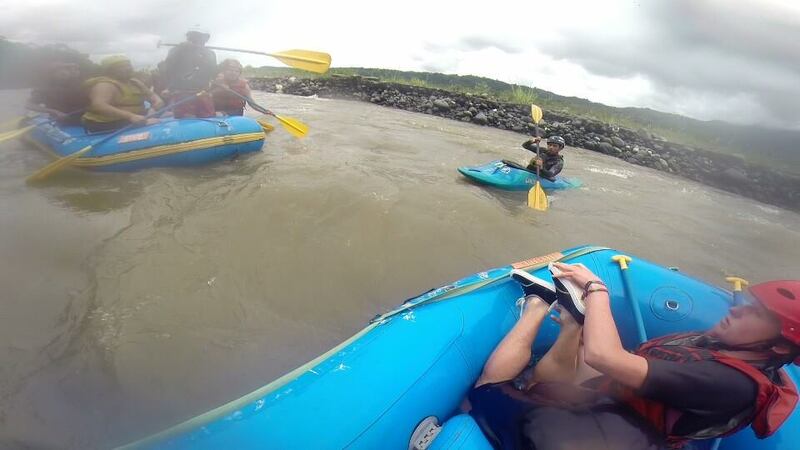 Enjoy water at the bottom of the valleys doing rafting at a cost between USD $20 and USD $30, or maybe fly doing (USD $10). Among other activities you can enjoy the benefits of thermal water or also embrace nature from the inside hiking in the waterfalls route. If the budget doesn’t allow you to do all these activities, you can always walk or hitchhike until extraordinary viewpoints. 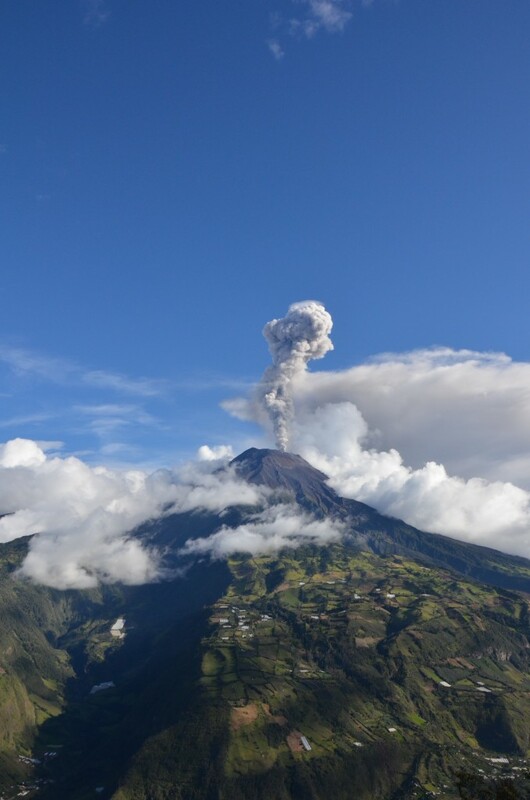 With a little bit of luck, the Tungurahua volcano will be awake and the show will be even more outstanding.